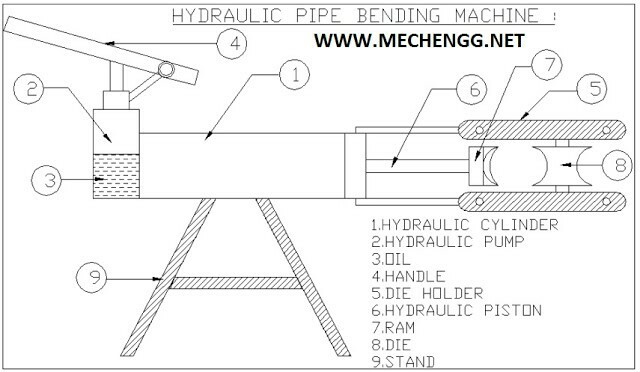 This articles contain list of projects for mechanical engineering students related to Hydraulic System . This list contain projects which are helpful for B.E. Mechanical , Diploma Mechanical Students For Final year Submission . If you looking For Hydraulic Projects for Engineering , School , Diploma , B.E. / B.TECH mechanical Field then You can refer Following List of titles. The controlled movement of parts or a controlled application of force is a common requirement in the industries. These operations are performed mainly by using electrical machines or diesel, petrol and steam engines as a prime movers. These prime movers can provide various movements to the objects by using some mechanical attachments like screw jack, lever, rack and pinions etc. However, these are not the only prime movers. The enclosed fluids (liquids and gases) can also be used as prime movers to provide controlled motion and force to the objects or substances. The specially designed enclosed fluid systems can provide both linear as well as rotary motion. The high magnitude controlled force can also be applied by using these systems. This kind of enclosed fluid based systems using pressurized in compressible liquids as transmission media are called as hydraulic systems. The hydraulic system works on the principle of Pascal’s law which says that the pressure in an enclosed fluid is uniform in all the directions.